Home > About Language > English, The Global Language? English, the global language as many would say, is the most widely spoken language by non-natives in the world. There are 71 countries across the globe that have English as their official language, equating to a staggering 400 million native speakers of it. What is more, there are an estimated 600 million people who speak English as their second language. Then there are all of the others, million of people who learn it at school, pick it up from movies, know a few words. English is one of the official languages of the United Nations. It is the language of aviation. It is also the predominant language for science, entertainment and diplomacy. The spread of the British Empire and the increasing dominance of the United States of America has led us to this situation we have today where the concept of English – the global language – is one that many people hold in high regard. This perceived dominance of the language of English is not helped by the fact that so many British people simply refuse to learn another language, because they are confident that wherever they may travel they will meet someone who can converse in their own language. These facts add up to suggest that English, the global language, is more than a mere concept. But there are factors, which are stopping the march of English and preventing it from being as widespread as many would like, and just as many would not. Even within the UK there is a fight back happening, against the dominance of English. The fight has been well and truly started in Wales, where Welsh, once an almost extinct language, is being taught again in huge numbers, and, moreover, used in towns and villages across the country. This is happening too with Gaelic. Although not to the same extent as Welsh, people are learning it and using it – putting it before English as their language of choice. In the USA, Spanish is quickly becoming as widely spoken as English because of the numbers of people of Hispanic origin who chose to use it. English, the global language, is actually being marginalised there, in a country that wields enormous power. Although English remains the official language and the language in which most business is conducted in, Spanish is gaining more and more ground. In the UK itself, immigrants do not always speak English. In some areas with high numbers of Polish immigrants, local newspapers have even started producing special editions in Polish for them – a sure sign that the way language is used is changing. But perhaps the biggest threat to the idea of English, a global language, is new superpowers. Chinese is the world’s most spoken language due to the sheer numbers of people who live there and speak one of its native forms. Together with India, China is emerging as one of the crucial players on the world scene for the future. With these populous countries gaining so much power, their languages are set to gain in importance and see a rise in people who speak them outside of their borders. There are too many factors at work for the idea of English, a Global Language, to ever become a true reality. But for now, it would certainly seem that English is the closet thing to a global language we have. It is still the language people choose to use if their native languages are not common to each other and as the international language of business, it is vital. 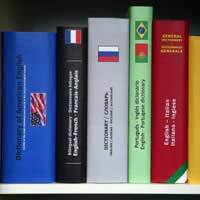 Things may change in the future and shake up the world stage, but for now, English is here to stay, global language or not, its importance undisputed. What Jobs Are Available to Multi Linguists? English is becoming more and more important and popular, there is no doubt that if one wants to get a brighter future he must learn to speak perfect English first.